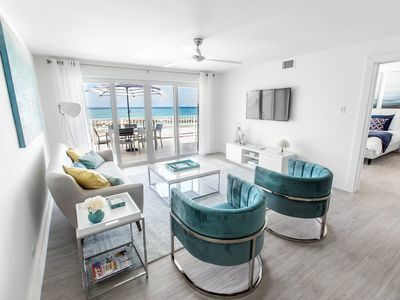 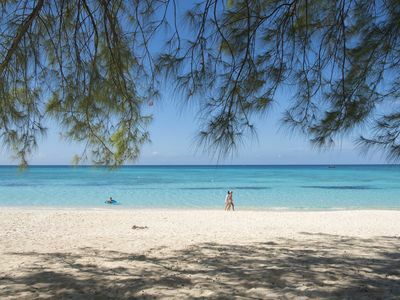 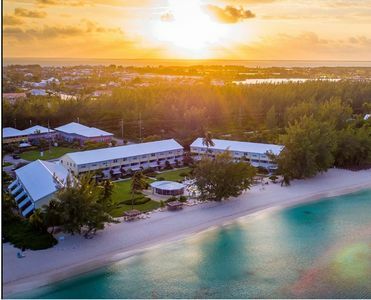 If you’re looking for a peaceful, relaxing Caribbean vacation experience in a beautiful beach-front spot that’s easy to reach, come and find it at Kai Kotch in Grand Cayman. 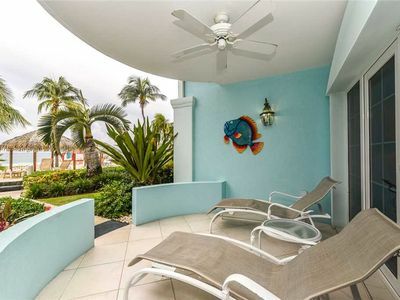 It’s a light and breezy feeling, spacious 2 bedroom, 2½ bathroom townhouse-style vacation home in a perfect location for a romantic couple or a whole family, loaded with amenities, air-conditioned, spacious and furnished in a comfortable and relaxed tropical island style. 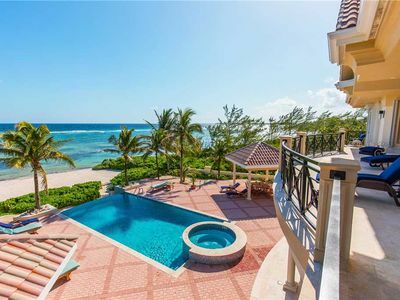 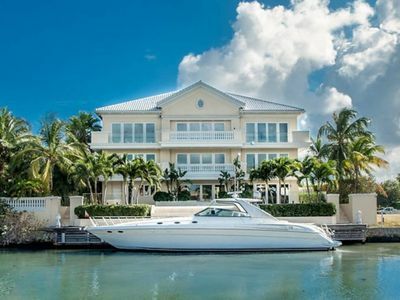 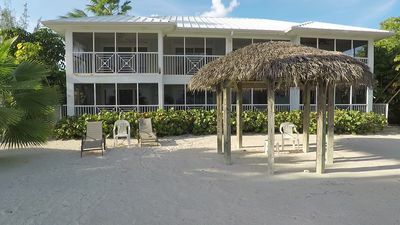 It is located at Island House #17, in the heart of Rum Point and the popular Cayman Kai community, tucked away on a secluded sandy beach in the Sand Pointe Cove which opens to the North Sound. 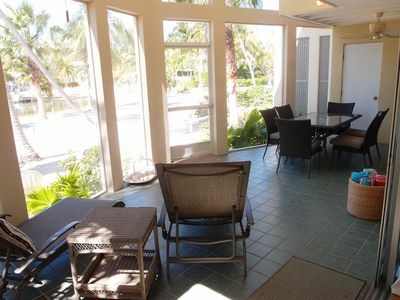 Great amenities for exclusive use of Kai Kotch guests for no additional charge include a paddle ('pedal') boat, kayaks, two bicycles, also FREE PHONE CALLS to the USA & Canada, FREE WiFi Broadband Internet high-speed connection, full kitchen and laundry facilities, and all the furnishings you need for a memorable Caribbean vacation experience. 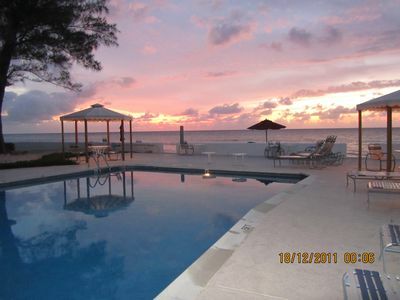 There is a pool (shared with other guests of the Island Houses complex) with beautiful views of the beach and cove. 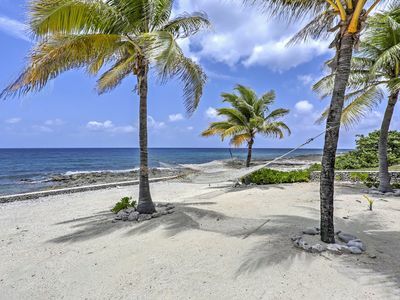 It’s easy to get to … and you won’t want to leave! 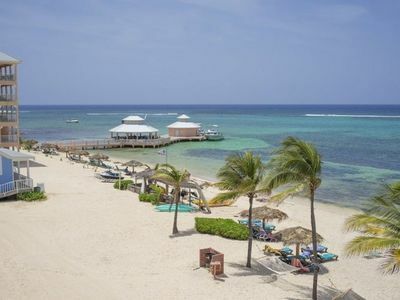 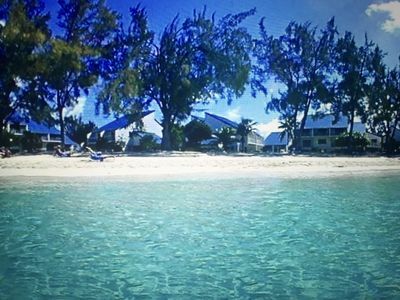 You will have your choice of beaches to enjoy: The tranquil secluded Sand Pointe Cove is your backyard, or just a few steps away is the world-famous Rum Point Club with its beautiful white sand beaches, festive atmosphere, great snorkeling, water sports rentals, beachside bar & grill, and shady hammocks! 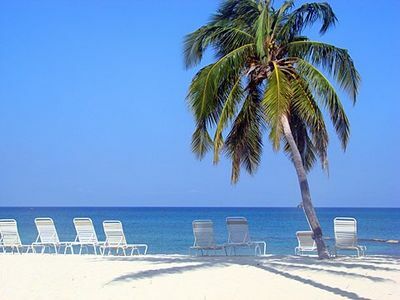 We can offer you Travel Insurance to protect your trip through "Travel Guard"
AS LOW AS 7% OF TOTAL COST OF TRIP! 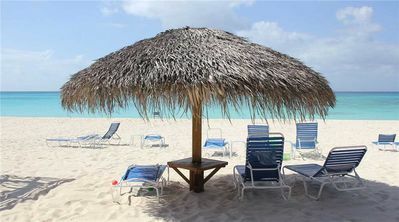 Ask for detail information from our booking agent. 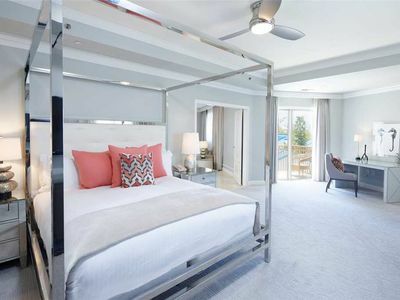 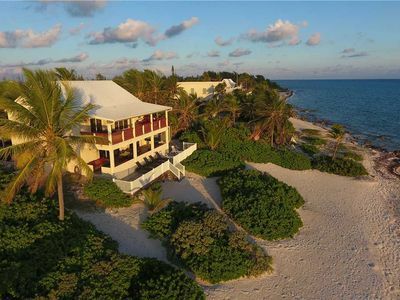 Your Beach Vacation Home Awaits You! 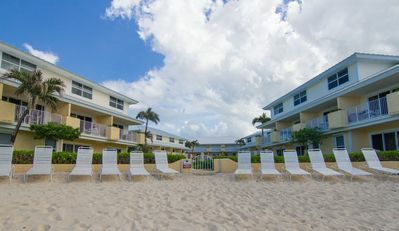 Your own piece of 7 Mile Beach!! 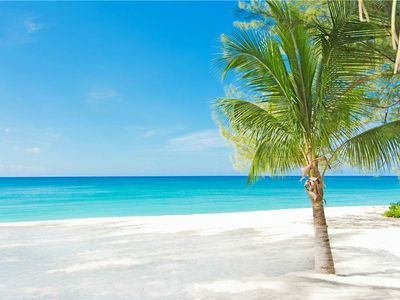 Have The Best Caribbean Holiday Ever!!!! 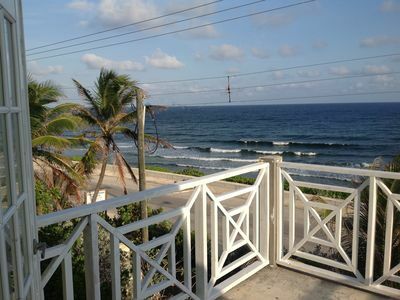 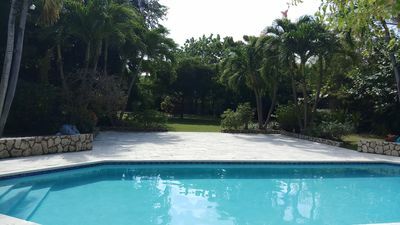 Casa Caribe, Seven Mile Beach - Beautifully renovated condo with Ocean views!